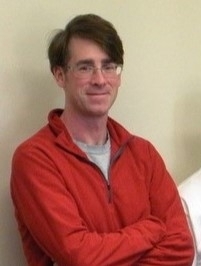 • Dr. Eric Raimy is a full professor in the Department of English and Chair of the Department of Linguistics at the University of Wisconsin-Madison. He is the recipient of an H. I. Romnes Faculty Fellowship in 2015 and is a Nancy C. Hoefs Professor of English. Prof. Raimy works on sound patterns in human language from a cognitive science perspective. His recent work focuses on mental representations in phonology and phonetics and on the Wisconsin Englishes Project, which documents and analyzes variation in local Wisconsin dialects of English. Recent collaboratively edited books by Prof. Raimy include: The Segment in Phonetics and Phonology (Wiley 2015), Wisconsin Talk: Linguistic Diversity in the Badger State (University of Wisconsin Press, 2013), Handbook of the Syllable (Brill, 2011), and Contemporary Views on Architecture and Representations in Phonology (MIT Press, 2009). Prof. Raimy was born and raised in Erie, Pa.